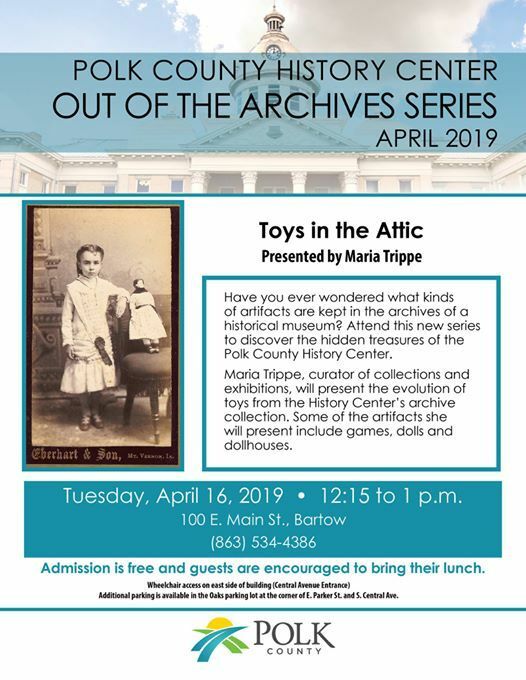 The first of our Out of the Archives Speaker Series – “Toys in the Attic,” by Maria Trippe, curator of collections & exhibitions. Have you ever wondered what kinds of artifacts are kept in the archives of a historical museum? 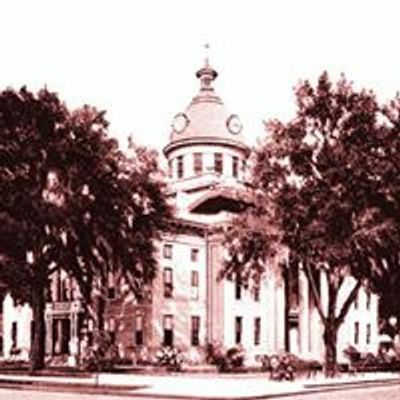 Attend this new series to discover the hidden treasures of the Polk County History Center. Maria Trippe, curator of collections and exhibitions, will present the evolution of toys from the History Center’s archive collection. Some of the artifacts she will present include games, dolls and dollhouses.